The Cuban Baseball Federation released its first group of players able to sign contracts directly with Major League Baseball organizations, and some could be playing in the United States this year. The 34 players are 17 to 25, classified as international amateurs under MLB rules and eligible to sign minor league contracts. Minor league salaries start at $850 a month but signing bonuses for top players can exceed $1 million while hundreds of players sign for $10,000 or less. The deal announced in December by MLB, the CBF and the Major League Baseball Players Association specifies 25 percent of the signing bonus will go to the CBF as a release fee. Cuban players also pay a 4% income tax on foreign earnings. No likely stars were apparent on the list, but more notable players included 22-year-old Raidel Martinez Perez and 23-year-old Liván Moinelo Pita, who have played professionally in Japan; 17-year-old infielder Loidel Chapellí Zulueta; and 18-year-old pitcher Norge Carlos Vera Aldana. The Cuban federation may at its discretion release younger players to sign minor league contracts with MLB organizations, as it did Tuesday. 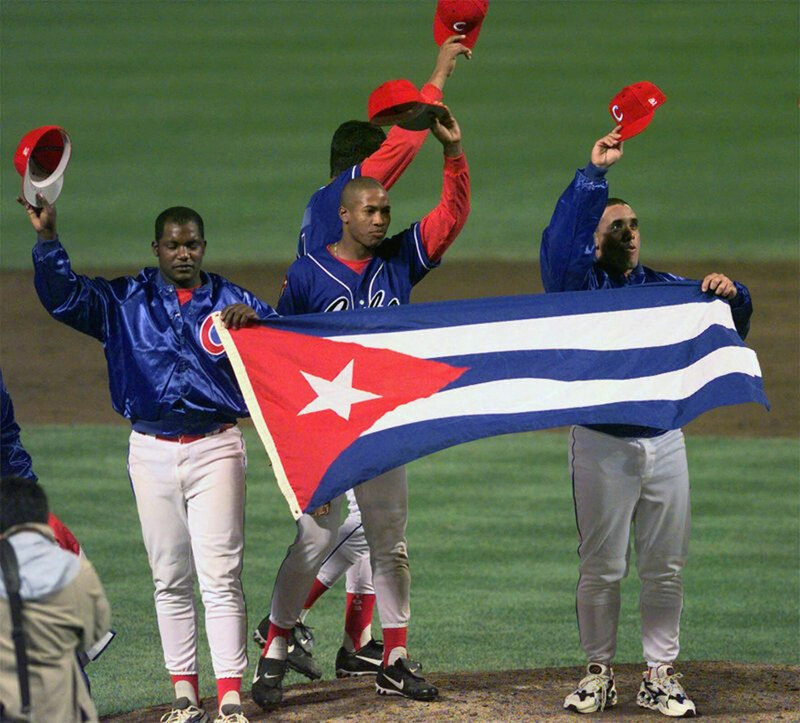 “We’re doing this in the spirit of moving forward the implementation of the deal, with the goal of developing the potential of Cuban and international baseball, and, above all, fighting human trafficking,” the Cuban Baseball Federation said in a statement.